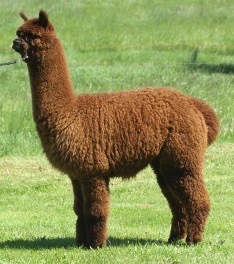 Autumn is a lovely female exhibiting extreme fineness, uniform fleece character and crimp, and conformationally sound. 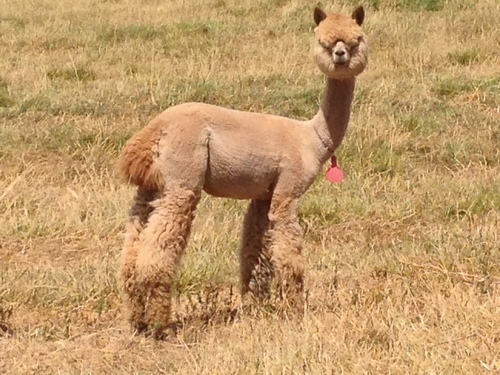 Autumn is well grown for her age and very pleasing personality. She is exhibiting all of the right characters to be an excellent seed stock female. 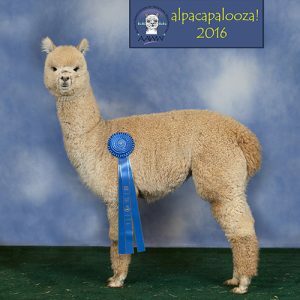 Autumn is in the top of our herd and it is exciting for us to place her out as a testament to our commitment to our breeding program. 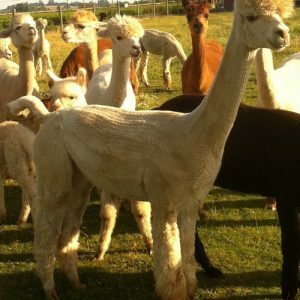 Autumn’s Dam Patagonia’s Nikolia is fine, dense, consistent in character throughout her blanket. She is well balanced in her conformation. She has produced a brown champion female Marinella in 2013, and another offspring Patagonia’s Paisana who sold for $23,000. Autumn is another lovely female out of this foundation Dam! 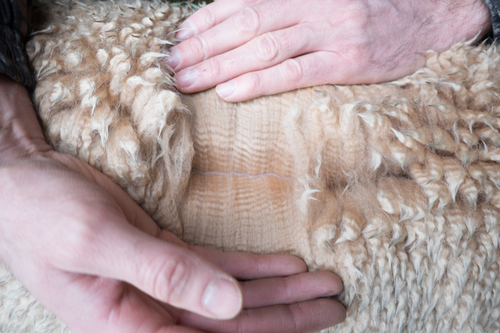 Autumn’s Sire is Patagonia’s El Galan, a Multi Champion who produces fine fleece with excellent uniformity and character. El Galan is a stunning white Champion Male that has the culminating characteristics that Hugo and Karen’s program is well known for. 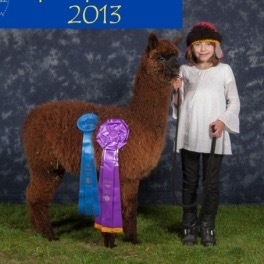 Autumn’s histogram below proves she inherited the excellent fiber from both Dam and Sire! 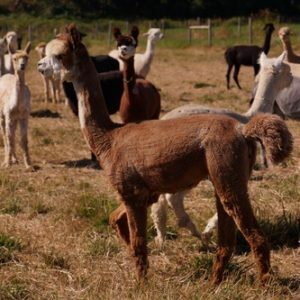 Autumn has been bred to grey, expecting her first Cria this fall! We appreciate her fine pedigree, and we feel she is an excellent purchase choice! Excellence in both DAM and SIRE lines! Take note of Autumn’s Dam- a fantastic contribution to this seed stock female, a producer of champions, Autumn is an elite female!